Record Store Day exclusive, limited edition, vinyl re-issue. 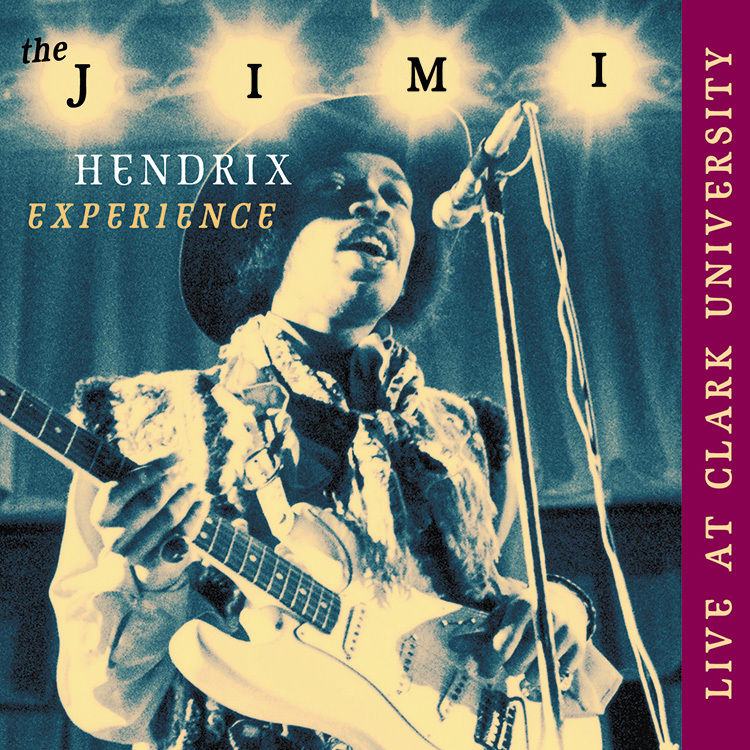 The Jimi Hendrix Experience: Live At Clark University represents the second release by Dagger Records. 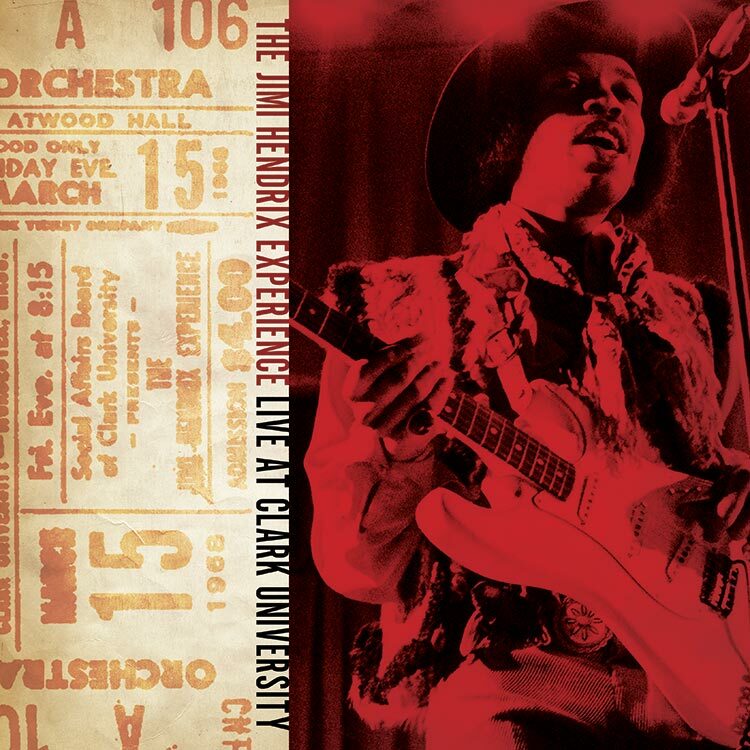 Like no Hendrix live disc ever before issued, The Jimi Hendrix Experience: Live At Clark University provides a window into one night on the road with the Experience. Beyond the memorable concert performances of “Fire”, “Red House”, “Foxey Lady”, “Purple Haze”, and “Wild Thing” featured here, Live At Clark University provides a further treat in the form of extended interviews with Jimi, Mitch, and Noel. The five songs included here showcase the optimism and vibrant enthusiasm of the fertile period between Axis: Bold As Love and Electric Ladyland. Vigorous renditions of such classic fare as “Fire” and “Foxey Lady” clearly reveal the group’s undeniable chemistry and skill. The intimate confines of Atwood Hall, Clark University’s student auditorium, placed the group in close proximity to its fans. The overwhelming combination of sheer volume and Jimi’s dynamic stage show left the sold out audience thunderstruck. The Experience had traveled to Clark University on March 15, 1968 as part of their extensive US tour in support of Axis: Bold As Love, their second album. Clark University, a small, respected Massachusetts university, is located in Worcester, a city located approximately one hour west of Boston. Filled to capacity, Atwood Hall could accommodate more than six hundred students. Tickets for the concerts were modestly priced, with seats priced at $3.00, $3.50, and $4.00. Live At Clark University begins with “Fire” and continues through “Wild Thing”. One or more songs might have preceded “Fire”, but no further recordings are available beyond what is represented on this collection. Although Live At Clark University has been drawn from professionally recorded two track masters, it is not without an occasional flaw. Nonetheless, these tapes represent the only known documentation of this spirited performance. We hope you enjoy the experience! Owned and operated by Experience Hendrix, L.L.C., the same company behind all of the commercially available Jimi Hendrix music released worldwide. Dagger Records is the only place you can get bootleg style recordings of Jimi Hendrix that have been fully authorized by legendary musician’s own family. Each release is restored from original tapes, remastered to the highest industry standards and include full color liner notes delving into the story behind the music. Site Credits. Under Exclusive License by Experience Hendrix, L.L.C.